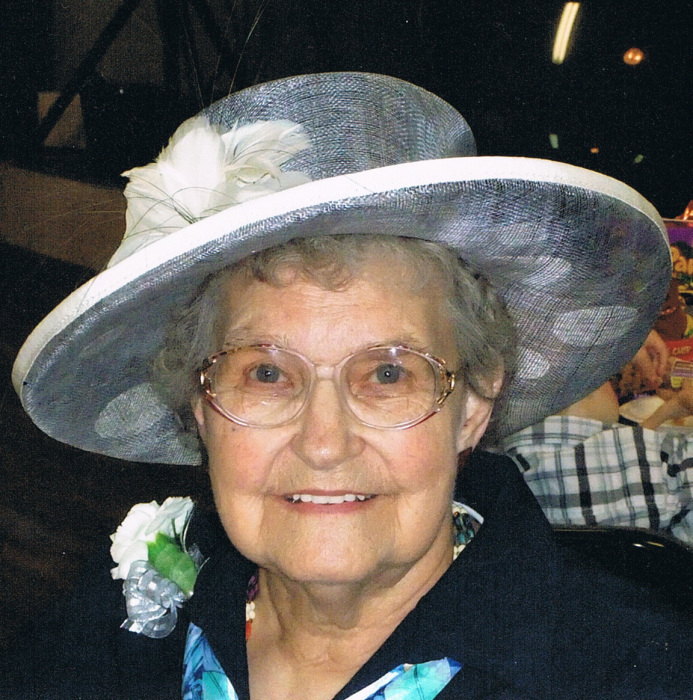 Eldora May Sopher of Fort Macleod beloved wife of the Charles Sopher and beloved companion of the late Frank Sato passed away peacefully on November 11, 2018 at the age of 90 Years. Eldora is survived by her 6 children Jim (Diane), Gail (Bob), Diane, Don, Murray (Michelle), Heather (Carey), 16 grandchildren, 19 great grandchildren as well as numerous nieces, nephews and their families. Eldora was predeceased by her infant daughter, Karen. Eldora was born in Watrous, Saskatchewan. She grew up on a dairy farm in the Watrous and Manitou Beach area. She met Charlie when he boarded at their house. They married in June 5, 1949 and lived and farmed in and around the Nipawin Area. Jim arrived on February 28, 1950, Karen came next August 22, 1951 and she passed away on January 22, 1952. Gail showed up December 17, 1952. Diane arrived on December 5, 1954 and Don was born August 31, 1956. Shortly after that Charlie joined the army and they moved to Regina. From Regina life took them to Whitehorse, where Murray came into picture on September 13, 1960. From there they moved to Calgary where Heather was born on June 20, 1965. While in Whitehorse they ran the bowling alley on the army base. IN Calgary she worked at the CO-OP, but mostly a busy stay at home mom. They had a pottery business out of their garage. After Charlie passed away, she moved to Fort Macleod. She met Frank in the fall of 1985. She and Frank had the opportunity to do lots of traveling. They traveled to Peru, Japan, Hawaii, Alaska and all across Canada and as much of the Northern U.S. She loved Knitting, Crocheting and even dabbled in quilts. Eldora loved to help Heather at craft markets and meet people, where if they were not careful, she would talk their ear off. She loved her grandchildren and her great grandchildren were the apples of her eye. She was grandma to anyone who needed companionship.